hawwa, etc: Interview With Author Liz Kessler! Guess who agreed to let me interview her?! The one and only LIZ KESSLER!!! Yes I know your jealous! In this interview I will be quizzing her on on her most recent book A Year Without Autumn to things like her five best tips for budding writers! Hi! Welcome to Ebony Black Lines, Could you tell us a bit about yourself? Errr…what do you want to know? My name is Liz Kessler (I guess you knew that already.) I write books about mermaids, fairies, time travel and - coming soon - pirate dogs! But mostly about modern girls and friendship. 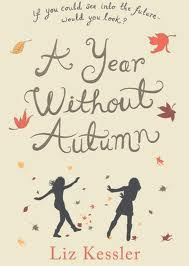 What was your inspiration for your recent book A Year Without Autumn? It was just an idea that I got into my head about a lift that took you through time as well as through floors. I LOVE time travel! Is there a time of day that you write best or get the most done? Mornings. I love working when the house is quiet, the world outside is still asleep and I'm still in my pyjamas! 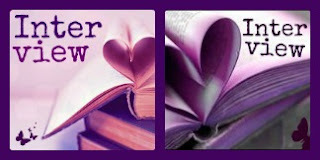 Did you always know you wanted to become an author? Not always. When I was young (about eight/nine) I wanted to be a poet. Then I grew up and became an English teacher and a journalist - so writing was always there. But then when I was about thirty I suddenly knew I wanted to write a book. What five tips would you give to budding writers? 1 Write what’s in your heart. 4 Listen to criticism from people you trust and ignore criticism from those who aren’t trying to help. Was writing your books hard? What was the most difficult part? A lot of it is difficult. Sometimes the hardest part is getting started. Sometimes it's fixing a problem. Sometimes it's making yourself work when it's sunny outside! But the rewards outweigh all the difficult parts. When your first book was published, what was your reaction and who did you tell first? My reaction was to jump up and down in the air a lot of times, with my best friend who lived next door. Lots of my readers love writing and aspire to be authors, could you give me a title or first line they could make in a story? What is the best thing and worst thing about being an author? Best: Getting so lost in a story that you realise it's late afternoon and you're still in your PJs because you were enjoying your work so much you forgot to get dressed. Worst: I often have a bad back from sitting at my computer so much. If you were stranded on a desert island and could only take one of your books, which would it be? Oooooh. Hard one. Hmmm. OK, at the moment it would be the one I'm working on, that comes out next year, North of Nowhere - because I still have a few things to figure out and it would keep me busy till someone rescued me. Paper or Laptop? Both. Depends what stage I'm at. Inside or Outside? Usually inside if I'm working on my computer - but outside (in the garden or on the beach) if it's sunny and I can work in my notebook. Cat or Dog? DOG! Always! Reading or Writing? Mostly writing, but a bit of reading is essential too! Great interview! I've never heard of Liz kessler before this, but she sounds like just the author I want to follow! 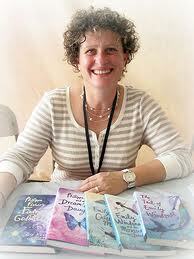 She writes about mernaids, fairies and time travel... Perfect!!! Please tell me: how do you manage author interviews? I've seen others on other blogs and I would love to do one but I don't know how to arrange it! Help?